WISMEC Indestructible RDA Rebuildable Atomizer, features hidden adjustable airflow, unique open slot wire terminals, single coil option, and PEEK insulators. This is black color version for your selection. Wismec Indestructible RDA Rebuildable Atomizer, has innovative top cap with hidden adjustable airflow, unique open slot wire terminals, single coil option, peek insulators. An indestructible rebuildable atomizer for you. Airflow adjustment: the user can adjust airflow by rotating the airflow washer. • 510 thread. Compatible with most 510/ego thread batteries/MODs. Loads of room to build on with this. Centre post hole is huge and the screw downs at either side allow loads of room for bigger coils. Great build quality, brilliant design, tastes really clean from the off. Nice and airy, almost too airy... but found that moving the holes round restricts the flow some what. Superb flavour! Great addition to anyone collection. oads of room to build on with this. Centre post hole is huge and the screw downs at either side allow loads of room for bigger coils. Great build quality, brilliant design, tastes really clean from the off. Nice and airy, almost too airy... but found that moving the holes round restricts the flow some what. Superb flavour! Great addition to anyone collection. WISMEC Indestructible RDA Rebuildable Atomizer Airflow Washer / 303. 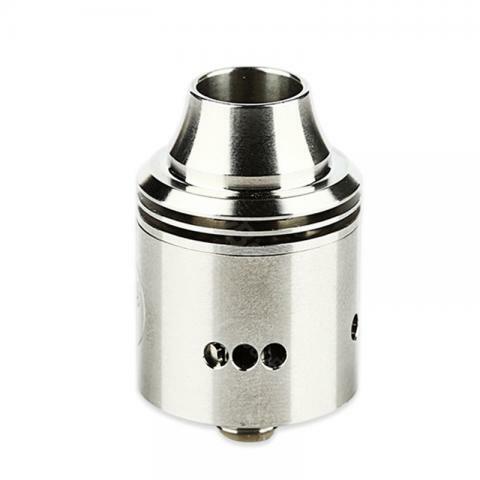 Made of Stainless Steel E Cigarette Rebuildable Dripping Atomizer.